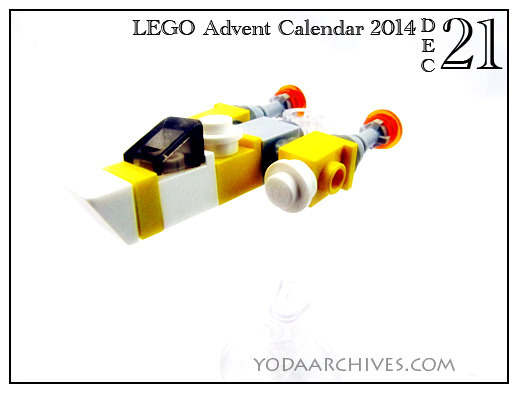 2017 LEGO Star Wars Advent Calendar Merry Christmas! Merry Christmas from the LEGO Santa Group. This is a group shot of the Star Wars Santa’s from previous advent Calendars, Snowbacca, a trooper and a classic LEGO Santa! December 25, 2017 | Categories: LEGO, Photography, Star Wars, Yoda | Tags: bb-8, droids, holidays, LEGO, lego advent calendar, merry christmas, santa Darth Maul, santa Darth Vader, santa Jango fett, Santa Yoda, star wars The Force Awakens | Comments Off on 2017 LEGO Star Wars Advent Calendar Merry Christmas! The big man has finally arrived. 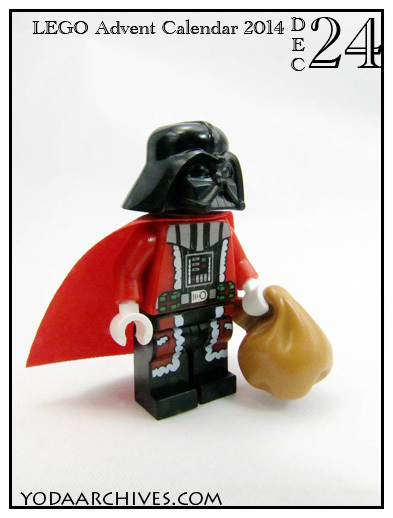 Darth Vader Claus is here. Merry Christmas! Merry Sithmas! This is one awesome looking minifig. 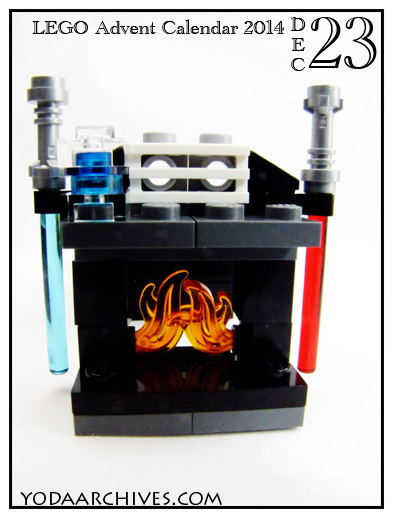 Today’s advent gift is father and son fireplace with lightsaber holders on the mantle. This might be the first time an item has had items for an Imperial and Rebel character. I added a few bricks behind the fire-place to make the flames stand out more. You better watch cause Santa Darth Vader comes tomorrow. 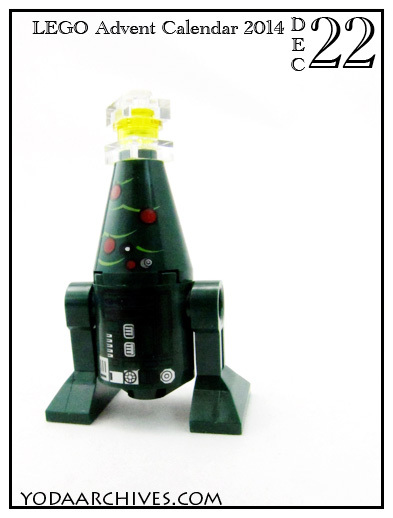 Today’s advent gift is Tree-Two Dee-two. Another cool mini-fig. Today’s item is a Y-wing. It’s made of a bunch of tiny bricks. The kind of pieces that are usually included as extras in sets. So you might have the parts to build more of these. Now it’s just a couple more days till Santa Darth Vader arrives. This Y was late for an important meeting. 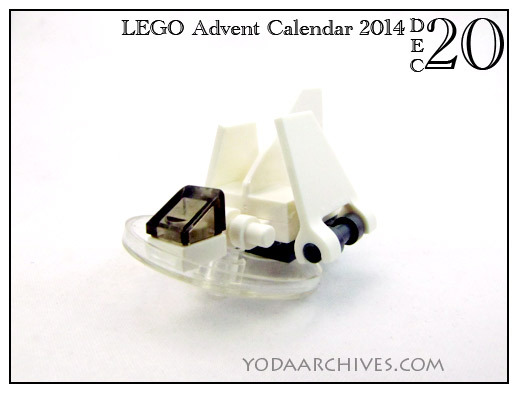 The December 20 LEGO Star Wars Advent gift is an Imperial Shuttle. 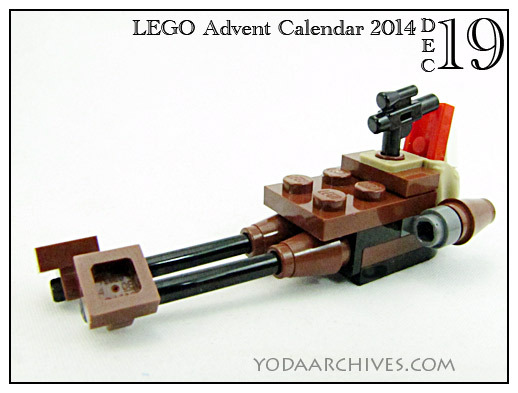 The December 19 LEGO Star Wars Advent gift is Vader Santa’s speeder bike. They added Santa’s bag and gift to the bike to mark it as a Christmas Sleigh. 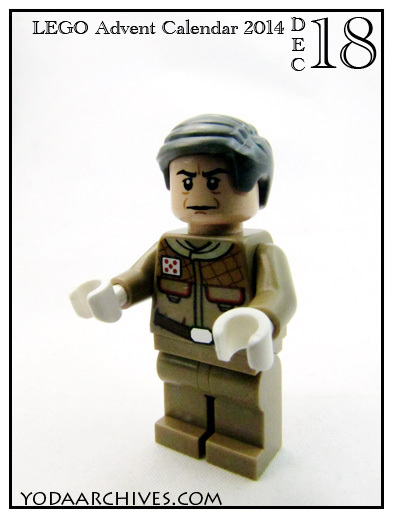 The December 18 LEGO Star Wars Advent minifig is General Carlist Rieekan. He was the leader of Echo Base on Hoth. Another nice looking figure. I like the focus on Hoth we’ve had in recent days. 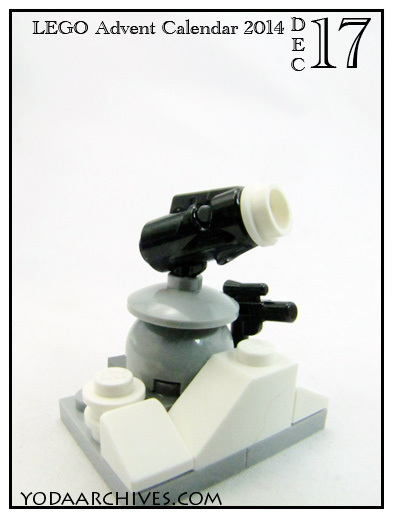 The December 17 LEGO Star Wars Advent gift is another snow cannon. Today’s item is a Rebel Pilot. Most likely Dak Ralter who was Luke snowspeeder Gunner in the Battle on Hoth. 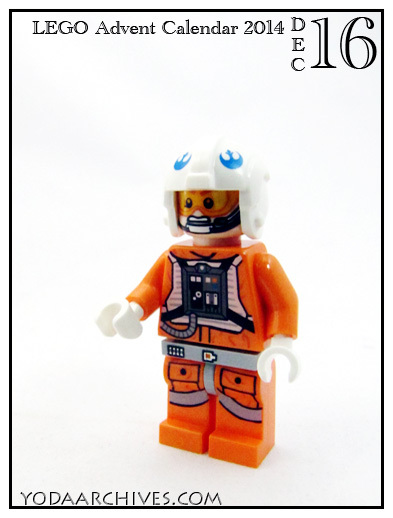 The LEGO Character Encyclopedia says the minifig has a unique blue Rebel Alliance markings on his helmet. This version has a dual sided head.